Until Christmas Day 2009, the notion of an international Nigerian terrorist could easily have been viewed as nothing but an oxymoron. There are fanatical Nigerian terrorists, no doubt. Largely driven by a politicized religious fervor and a zeal to fight for their God, these people, more often than not, dwell in poverty and hold onto contorted religious teachings. Their terrors have, however, largely been confined to the borders of the Nigerian Republic. They come and go, maiming and sometimes killing their fellow countrymen and countrywomen, who happen not to share their politico-religious views. But, even then, such terrorist actions are an exception, rather than the norm in Nigeria. Such unfortunate exceptions include blood cold violence that followed the Danish publication of cartoons of the Islamic Prophet Mohammed in 2005 and the dumbfounding violence of a group called Boko Haram in 2009, one of whose aims was to rid Islamic Northern Nigeria of Western education and Western influence and ultimately introduce Islamic Sharia law in all of Nigeria. Boko Haram was eventually crushed by the Nigerian security services—at least, officially. 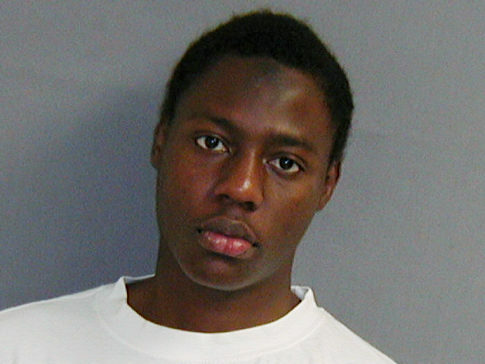 "...Abdul Farouk Umar Abdulmutallab, a 23-year-old son of  Umaru Mutallab, former First Bank chairman. [Umaru] Mutallab, [also] a former [Nigerian government] minister and prominent banker recently retired from the Bank's board..."
Other media outlets have reported that the young Abdul Farouk resided in an uptown luxury apartment in London (United Kingdom) and that his journey to the United States on Christmas day began in Yemen, and included stints in Ethiopia and Ghana. This was followed by a stopover in Lagos (Nigeria) before proceeding to Amsterdam (the Netherlands) and finally Detroit (United States). He is also reported to have studied at a British International School in Lome (Togo) and at the University College, London. Given Abdul Farouk’s privileged background, one can only be left wondering why on earth he decided to do what he did. Tens of millions of Nigerian kids would trade anything in the world to have the sort of opportunities he had. Fair enough, his family came out, after the incident, to state that they were totally gutted by what happened. But even surprising is the fact that his father had contacted security services both at the United States Embassy in Abuja (Nigeria) and the Nigerian security services to warn that Abdul Farouk posed a threat and might be involved in planning a jihad. The United States services went as far as blacklisting him, indicating he had "a significant terrorist connection" but did not go as far as putting him on its "no-fly list". Hence his ability to obtain a visa to fly to the United States. Yemen, it appears was the breeding ground for Abdul Farouk’s distorted and fanatical ideas. Given that Al-Qaeda has claimed responsibility for the botched attack, it appears increasingly likely that Abdul Farouk was specifically trained for this mission in Yemen. The Yemeni government recently claimed that he was resident in the country for the purpose of studying Arabic. If found guilty, and he most likely would, Abdul Farouk could expect to spend the rest of his productive life behind bars in the United States. He would likely have a lot to talk about with the likes of Richard Reid, the shoe bomber. It is indeed a thing of joy that Abdul Farouk's attempted Christmas day attack failed and everyone got out of the airplane safe and sound. But the repercussions of this foiled attempt at destroying an American flying object and killing all those on board would be felt for some time to come. Nigerians can expect more stringent security searches at airports worldwide. Such profiling is a logical reaction to an event like this. Unfortunately, increased security on Nigerian travellers could allow for more deadly non-Nigerian targets slip through airports worldwide. Most Nigerians couldn't care less about al-Qaeda and the message it preaches. al-Qaeda would likely find some sympathy amongst a fraction of Nigerian Muslims, but it is highly in doubt if that fraction is the majority. The botched attack on Northwest Airlines Flight 235 has everything to do with a radical Islamic ideology promulgated by extremist groups like al-Qaeda. This is the point that must be emphasized. al-Qaeda’s ideologies could find sympathizers in your family, your neighborhood or your workplace. It is not ethnic, region or class specific. Though largely concentrated in the Middle East, it is becoming global. The concept of an international Nigerian terrorist is no longer an oxymoron, for the tentacles of a radical and distorted Islamic ideology has slowly spread, and continues to slowly spread worldwide. Abdul Faruok was only the latest bait, and a foolish one at that. Jail may offer him the solace and solitude to ponder over what he just did, that is, if he survives his time there.